Why I want to read it: I love a good cozy and how can I resist this one set in a mystery bookstore?! Villette is Charlotte Brontë's powerful autobiographical novel of one woman's search for true love. 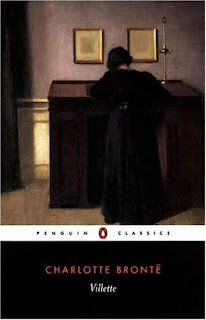 Why I want to read it: Jane Eyre is one of my all time favorite novels, and I have heard wonderful things about Villette too. Someday, I would like to dive into this one set in a girls' boarding school. Why I want to read it: Just mention witches and I am all over it. This collection appeals to me even more because it features a diverse cast of characters from all walks of life. I cannot wait to read it. Why I want to read this: There are certain keywords that are sure to catch my attention and in this one, "ragtag band of explorers" was it. This sounds like it will be a lot of fun! Have you read any of these? Do these sound like something you would want to read if not? I love the sound of Stars Uncharted! That premise, and yes a ragtag band of explorers, with a cover like that- looks like a win. Greg - I have a couple of these types of science fiction books on my TBR pile and wish list now. I just can't resist! "ragtag band of explorers" would have me buying this book instantly. I love scifi so much! I have read Murder is Binding - quite a while back. Not only is it set in a bookstore, the whole town has bookstores everywhere. Great concept for a series. I like the look of Toil and Trouble as well. Enjoy, Wendy! Kay - I can't even imagine living in a town with so many bookstores! Wouldn't that be heaven? I would most likely be broke. LOL I am excited about Toil and Trouble. It's time I dipped my toes back into a short story collection. And one about witches is especially appealing. I don't know if I've read Charlotte Bronte. I haven't read a classic in quite a while, to be honest. Stars Uncharted looks interesting. "Three people who are not who they claim to be" is what piques my curiosity! Toil Trouble and Villete are both on my TBR! I can't wait to check them out! These are some fantastic picks! Yomna - Thank you! 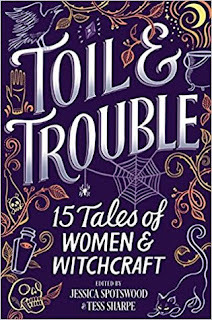 I am excited about Toil & Trouble. I just love stories about witches. And one of these days I am determined to get to Villete! I want to read both of the new ones you've shown. Seems like I've been waiting for Toil & Trouble forever! Lark - Doesn't it sound like a lot of fun? Oooh! All of these books sound awesome! Great picks! I don't remember too much about Villette but I do remember that I liked it when I read it years ago. Suzanne - I hope I will like it. I am not sure why I haven't read it yet. I loved Jane Eyre. To be honest, I'm not sure if I ever finished Jane Eyre (perhaps I should give it a go soon) but Villette sounds interesting! Eustacia - I loved Jane Eyre so much, I worry I will be disappointed with Villette. I need to get over that notion and just dive in! 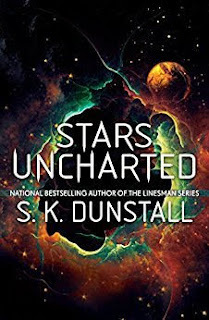 I have a copy of Stars Uncharted from First to Read and I hope I can get to it before it expires. It sounds like such a great book. I hope you enjoy all of these, Wendy! Carole - I hope you love Stars Uncharted. It sound so good! I like the Booktown series though especially in the later books the characters can be a little grating. Villette is on my TBR too. I really need to read more of the Bronte. I am all over anything Witchy too...that book is on my wishlist! And I love the Booktown mystery series. I need to pick up the latest book! Interesting finds, though the witches one is really not me! my first comment disappeared. I hope it does not duplicate itself. Mystica - I am sorry about your first comment. I am not sure what happened. As of yesterday, I am finally able to receive e-mail notifications again of comments. What a relief that is! Murder is Binding sounds so good, and it comes at a time when I think I might be in the mood for a cozy! Verushka - It does sound good, doesn't it? I hope you like it if you read it! I prefer non-fiction, but my hubby would like Stars Uncharted. Ellen - If he reads it, I hope he will enjoy it! These all sound awesome!! Thanks for putting them on my radar! I've had Murder is Binding on my want-to-read list for years. One of these days I'll actually get around to it! And both Toil and Trouble and Stars Uncharted sound interesting. Lark - Me too! One of these days . . . Too many books out there I want to read! OMG, Wendy! You have a GREAT collection of books here!! I am especially interested in "Villette", as "Jane Eyre" is my all-time favorite classic!! 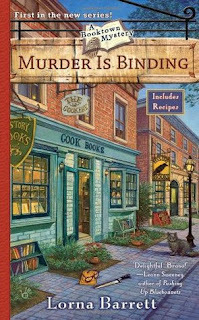 However, I also like the looks of "Murder Is Binding" (bookstores are mentioned! ), "Toil and Trouble", and "Stars Uncharted". I'm adding them all to my Goodreads shelves!